The Humayun’s Tomb, also known as the Maqbara-e-Humayun is an UNESCO World Heritage Site (declared in 1993) visited by tourists and travellers from both India and abroad. 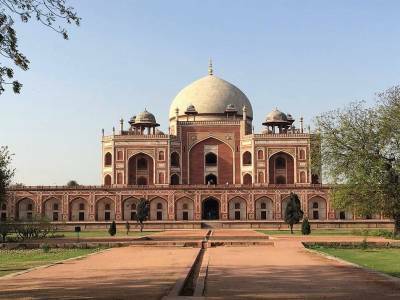 The tomb was built under the instruction of the 1st wife Haji Begum of the Mughal Emperor Humayun 9 long years after the death of Humayun. The tomb was built in garden style, the very first of its kind. The tomb was built over a period of 7 years from the year 1565 to the year 1572. 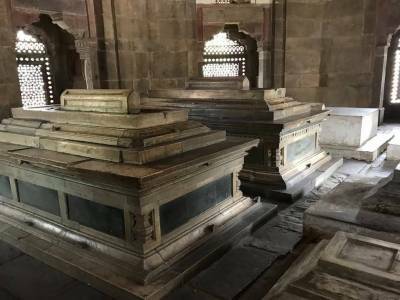 The tomb complex at present contains tombs of Dara Shikoh, Alamgir II and also Isa Khan Niyazi and many other members of the Mughal royalty. Having a very well-maintained garden and an enticing architecture, the Humayun tomb, situated at Nizamuddin East is a historical spot that you just cannot afford to miss when you visit Delhi if you are a history buff or even a general traveller. It happens to be the first garden tomb in the whole of the Asian continent. The tomb stretches out over an area of 30 acre land. 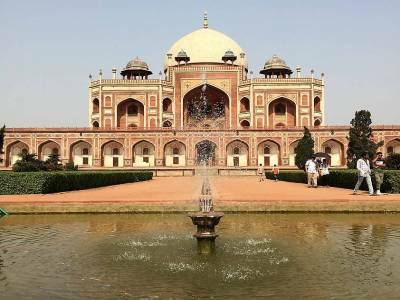 The Humayun tomb is very easily accessible from all major parts of the city of Delhi. 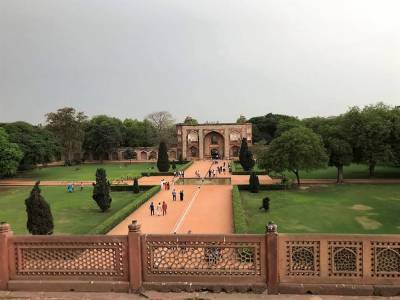 Since summers are too hot to handle at Delhi with the scorching heat and heavy humidity it is best to be visiting the Humayun’s tomb during the winter months from October to that of March. The Humayun tomb is built of red sandstones. In the inside of the tomb there are as many as about 124 chambers. The famous India Gate which attracts a large number of tourists is not too far off from the Humayun’s Tomb. 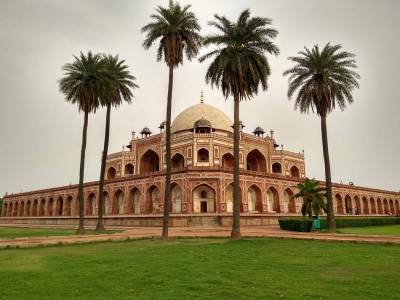 Get quick answers from travelers who visit to Humayun's Tomb.